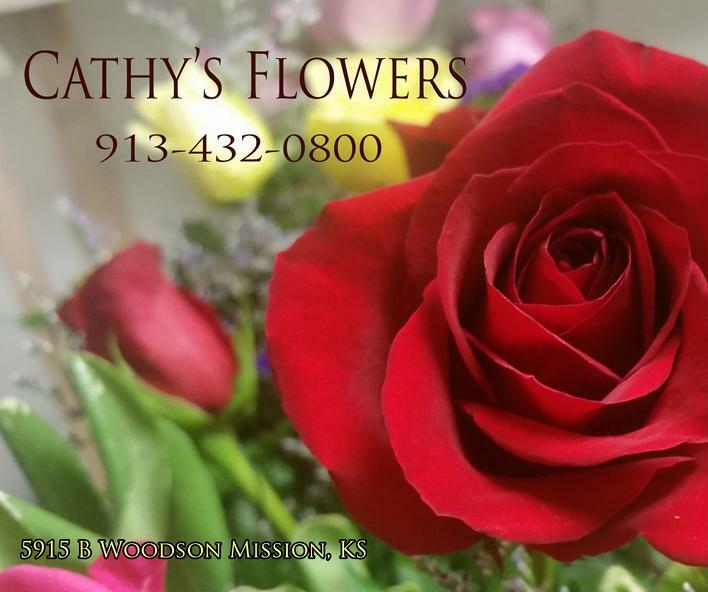 Cathy's Flowers is located in Mission, Kansas. We serve the Kansas City Metro Johnson, Jackson and Wyandotte Counties in our fine Floralsmart/RoseOnly tradition. Check out our beautiful assortment of colors of roses and mixed floral arrangements. Call us today for delivery.